Danni's back at The Bear Club as part of her tour, promoting the infectious album Mockingbird Lane, a CD that's been on repeat in the Bear-mobile for many months now. The reviews say it all and her previous sell-out Bear gigs just reinforce it, so catch Danni at another 'home' show before she hits the road to Nashville again. 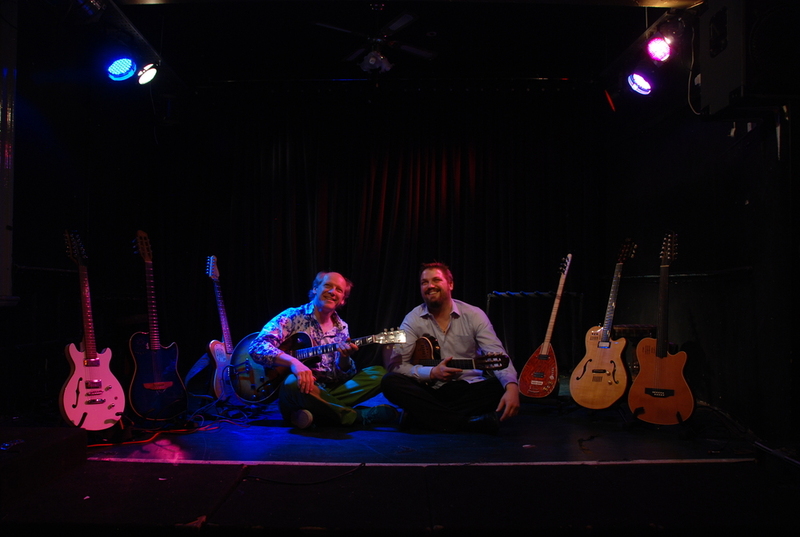 Armed with a stage full of guitars, and as part of a 60+ UK date tour, Pete Oxley and Nick Meier return to The Bear Club (following a previous sell-out duo gig) as a quartet with Raph Mizraki on bass and Paul Caviacuti on drums. Pete and Nick enjoyed a No. 3 position in MOJO magazines jazz albums of 2015. Bear regular and guitar maestro Marius brings together some of the areas best talent for a party night of jazz funk and unexpected twists. The boys do their thing. Piano, bass, drums and a whole lotta groove. Craig Stallwood on keys, Steve Seal on drums and Pete Myatt on bass. Mantrata are a unique, eclectic fusion band inspired by the ethnic musics of the Eastern Mediterranean, the Near East and Africa as well as jazz pioneers such as John Coltrane. Melodic themes are met with driving grooves throughout, which in turn acts as the basis for exciting and inventive improvisations. The Last Chance Ragtime Band is a group dedicated to putting jazz on the dance floor. 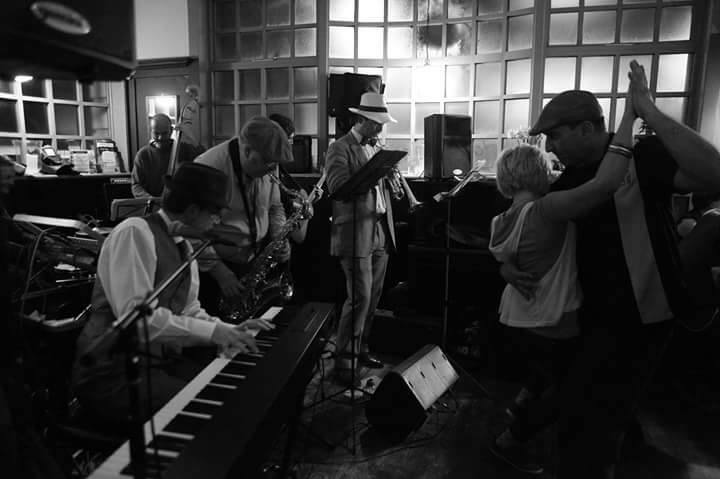 Taking their inspiration from the New Orleans Jazz Bands of Frenchman Street, LCRB plays music especially crafted for swing dancers from greats such as Jelly Roll Morton, Ella, Benny Goodman, Louis Prima, Louis Armstrong and Hoagy Carmichael. We cater for Lindy Hop, Blues and Balboa dancers. We might clear a few tables aside for this one! 'Focus on Jazz', in association with 'Confluence', returns to the Bear Club Luton with another special evening featuring the cream of international and local vocal talent. This time we welcome incredible Soul and Jazz singer Noel McKoy, who has recorded, performed and toured the world with many of the greatest names in music including Kool & the Gang, Gladys Knight, Womack & Womack and Stevie Wonder. Noel will be accompanied by the Peter Honegan Band for an out-of-your-seat night of Soul and Jazz. Completing the line-up are Luton singer Cheryl Lucas, Starpoint FM DJ Paul Goldsmith and our host The Real Reminisce – Lee Drummond. As part of a short UK tour, we welcome David Ramirez, a singer-songwriter from Austin, Texas. His new album, Fables, is a beautiful piece of work, and upon hearing it we went about trying to get him to stop in at The Bear. And here he is. David will be doing a solo show, so it's a special up-close, intimate treat. A Saturday evening Jazz concert with tremendous pianist Marco Marconi and his trio, playing compositions from his new album Nordik (33 Records) and some standards, played the Marconi way. A real treat, not just for you, but for our lovely piano too.